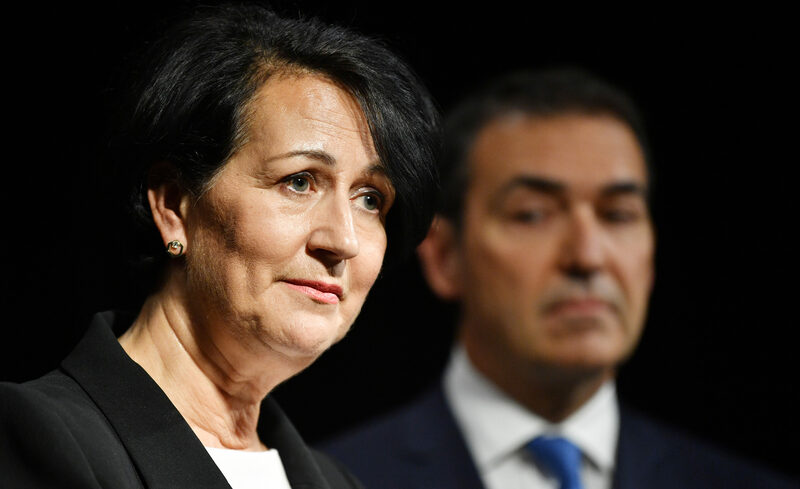 Amid mounting new revelations and Opposition calls for her resignation, Acting Premier Vickie Chapman must prove her position remains tenable. And, writes Tom Richardson, that can only be done by waiving privilege and making her own legal advice public. “What we saw today was very much a government in cover-up mode… a government that is not willing to answer simple questions; and a government that called out the right answer to most questions as to why certain actions are now occurring because they were caught out. No, it’s not an extract from today’s parliamentary debates (not least because the Attorney-General, Vickie Chapman, has not indeed resigned, and is unsurprisingly disinclined to do so). In fact, these are the words of former Liberal Opposition Leader Rob Kerin during a 2003 speech on government accountability, or lack thereof. If nothing else, it’s a timely reminder that the resignation of an Attorney-General within the first year of a fledgling government is not an unprecedented event. 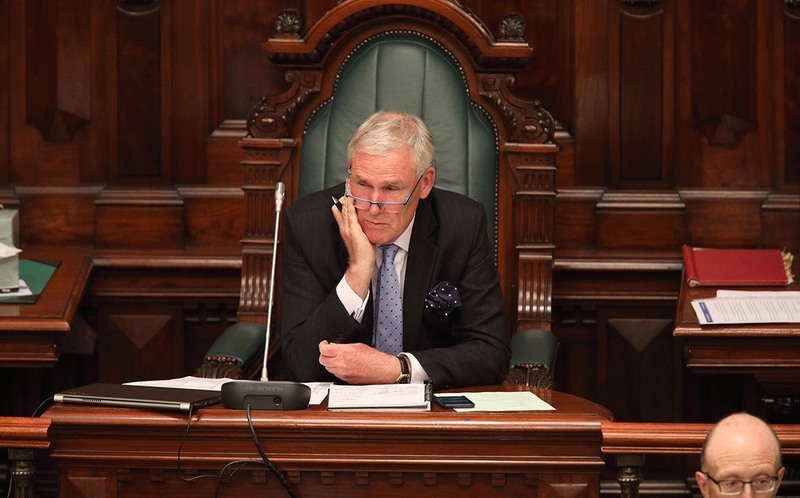 Michael Atkinson stood aside in the early days of the Rann administration, until he was exonerated of any adverse involvement in the Randall Ashbourne/Ralph Clarke mess, and the brief scandal damaged neither his long-term ministerial career nor the former government’s standing. So while Opposition calls for ministerial scalps should always be taken with a grain of salt, the question of whether Chapman’s position as the state’s first law officer remains tenable is at least a plausible one to ponder. Which is, in itself, a bit of problem. Particularly since she is now also serving as the state’s Acting Premier, in the absence of Steven Marshall after the sad death of his father Tony. A handy rule of thumb going forward: if the ICAC Commissioner gives you specific legal advice, it’s probably a good idea to follow it. Amid recent questions about the absence of two Renewal SA executives, Chapman took it upon herself to release a public statement invoking the spectre of the state’s Independent Commission Against Corruption. It went entirely unreported by media on independent legal advice, until Commissioner Bruce Lander later put out his own, somewhat terse, statement, authorising news outlets to publish it. The next day, in response to questions from InDaily, he went further, revealing he had discussed the matter with Chapman before she released her statement, and insisting the A-G had agreed not to “include reference to the ICAC [in] any statement made”, but to “say publicly that neither she nor the government could comment”. “I told her that I would not be making a statement,” Lander maintains. Chapman, at length, claimed to have received her own Crown Law advice and “I am satisfied that no breach of the Independent Commissioner Against Corruption Act 2012 has occurred”. She has not released the advice, citing legal professional privilege. 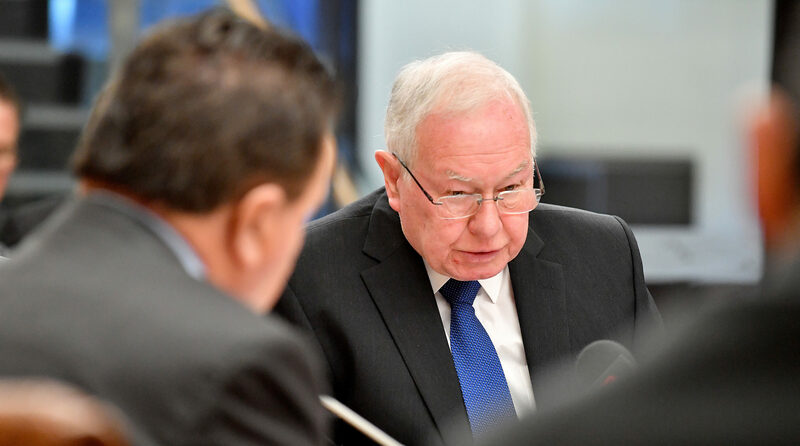 The Labor Opposition was swift to seize on all this, of course, seeking out its own legal advice from Victorian silk – and former federal court judge – Ray Finkelstein that suggested Lander may not be able to retrospectively authorise Chapman’s statement. Labor also asked the police to investigate the matter. Now, according to a report in today’s Advertiser by the state’s best-connected police reporter Nigel Hunt, it appears they are looking to do just that, with detectives reportedly launching “a preliminary assessment of the matter and… examining the available evidence”. “Once that assessment has been finalised a decision on whether or not a full investigation is warranted will be made by senior officers,” Hunt’s story claims. For Chapman, the timing could hardly be worse. For on Tuesday next week, Lander himself will be giving evidence before a parliamentary committee under privilege. It’s ostensibly to discuss matters relating to his recently-tabled annual report, but will clearly now be little more than an inquisition about whether or not the Attorney-General breached her own law. It’s not an exaggeration to suggest that Lander could hold her political fate in his hands. But, for all this, there has hardly been a baying for blood within the media. The Tiser, by and large, seems more concerned with pushing its own “loosen the secretive ICAC Act” barrow than with whether or not the Attorney-General actually broke the law. In an editorial today, the paper noted it’s “one thing for the ridiculously restrictive laws… to prevent the media from publishing basic details of investigations [but] it goes beyond farcical when the state’s top lawmaker finds herself at risk of being guilty of breaching the ICAC Act, simply for trying to shed some very little light on something that is in the public’s interest”. It went on to suggest that Chapman was somehow a victim of some Machiavellian legal mumbo-jumbo, with “the machinery of secrecy and spin now so widespread and intricate that ministers are tripping over it”. The paper then concluded that, rather than stand down, Chapman should amend the law she might have broken, to ease the ICAC Act’s secrecy provisions. With bizarre irony, the Government’s first move in the Legislative Council today was indeed to introduce a bill to amend the ICAC Act. But it wasn’t the much-pondered push to revise the secrecy provisions; rather, ‘twas the Libs’ long-spruiked bid to open maladministration hearings to public scrutiny. Indeed, while there has been much musing about the appropriateness of the current secrecy provisions in the wake of the Renewal SA shemozzle, Chapman herself has thus far publicly eschewed any such move – like a drowning woman turning down a life-vest. On ABC radio this morning, host David Bevan seemed even less concerned than the Tiser editorial, claiming that Lander had in any case “effectively endorsed the release of this information by Vickie Chapman [which] shows that, in terms of the seriousness of the offence, this is not serious offending”. “The ICAC Commissioner said ‘Well, I wish you hadn’t done it [but] it’s no big deal, let’s move on’,” Bevan argued. But contrary to media suggestions that the whole issue is too “labyrinthine” to effectively resolve, it’s really pretty simple. Either the Attorney-General broke the law – or she didn’t. If she did, it probably doesn’t really matter whether she did so in an effort to be as transparent as possible. Particularly because – and this is the real kicker – there is actually no ambiguity about the ICAC’s secrecy provisions. And even if there was, the fact that Lander – far from tacitly stating that “it’s no big deal, let’s move on” – made a point of revealing that he discussed the matter with her and apparently told her not to reference ICAC in her public statement should have sounded some kind of warning bell, surely? On top of all this, Labor today tabled in parliament subsequent legal advice from Finkelstein, which according to Hansard claims that “if the Attorney-General uploaded her statement on the government’s website without first having obtained authorisation from the commissioner – before the commissioner authorised the media to publish the statement – there was a contravention of [the ICAC Act] when the Attorney-General uploaded the statement on her website”. That, of course, is the Opposition’s prerogative. It’s worth noting, too, that Chapman herself was no stranger to calling for the odd ministerial resignation in her Opposition days. In 2009, she demanded Atkinson should again “resign or be sacked” over a misguided attempt to regulate online political commentary. Indeed, as recently as January this year, she insisted “shamed Weatherill must resign” over the Oakden fiasco – ironically even referencing Lander’s own report on the matter in support of her demand. For Lander himself, one might presume that while he was unhappy about Chapman ignoring his unambiguous directive, he’s hardly inclined to be responsible for bringing down the state’s first law officer, particularly over a potential transgression of a law that many already feel is too oppressive. And as for Chapman’s own colleagues, they’ll probably chalk it all up to the latest in a long line of occasions in which her propensity to over-reach has tripped her up. For, putting aside the question as to whether the law has been breached, Chapman’s apparent decision to ignore Lander’s advice clearly raises significant questions about her judgement. Still, it is nonetheless perhaps premature to suggest her position is untenable – although it wouldn’t now take much to reach that point. She told media today, again, that she wouldn’t stand down – “clearly not” – and noted “the anonymous claim that there is a preliminary [police] assessment being undertaken”. “It’s quite proper that they conduct those preliminary assessments, I don’t have any issue with that,” she said. But it’s clearly imperative now that Chapman waives legal privilege, and releases the Crown Law advice upon which she bases her dogmatic insistence that there has been no breach of the ICAC Act. If it is as unequivocal as she maintains, that should be the last word on the matter. If she does not, it could drag on ad nauseum. It’s arguable this whole episode was born of a misguided attempt at transparency. Transparency is now needed to resolve it.